In the context of former Chief Justice Sarath N. Silva’s recent interventions into the public debate on the controversial impeachment proceedings now being taken against the current Chief Justice, we reproduce below the Editorial of The Sunday Leader of 7th June 2009, marking the occasion of Silva’s retirement from the Supreme Court Bench. It was written by Asanga Welikala on the invitation of the then Editor of The Sunday Leader, Frederica Jansz. Last Friday, 5th June 2009, the Chief Justice Hon. Sarath Nanda Silva P.C. retired from the Supreme Court Bench, just three months short of completing a decade in office (he was appointed by President Kumaratunga on 16th September 1999), in what has been perhaps one of the most, if not the most, controversial tenures of a Chief Justice in the history of the Supreme Court. In almost everything he did on and off the Bench, he divided opinion deeply, combining the tactical adroitness and unprincipled cleverness of the successful advocate, with a ruthless personal ambition and a shrewd sense of political populism: in Dickensian terms, a Jaggers or a Stryver, rather than a Carton. Even in retirement, that Mr. Silva should so sharply divide opinion in Hulftsdorp as to the path he will take, between the dramatic opposites of taking to electoral politics or the life of an ascetic Buddhist mendicant, is the perfect illustration of the contention and controversy that his personality is capable of generating. 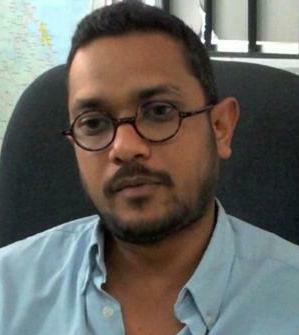 A low-country Buddhist who was educated at Trinity College Kandy, the Ceylon Law College, and the University of Brussels, Mr. Silva is a man of not inconsiderable charm and a sharp-witted intelligence, which made him one of the rising stars in the Attorney General’s Department. By the accounts of senior civil servants who sought his official legal advice, he was superlatively competent with a highly developed expertise in the wide field of public law and administration. This is borne out by his record in what was the, unfortunately premature, apogee of his professional life: his tenure as the President of the Court of Appeal. His judgments in this capacity in all branches of the law (but especially in administrative law), while certainly lacking the literary erudition of a de Sampayo, a Dias, a Soertsz, a Gratien, or a Colin-Thomé, are nonetheless luminous examples of crisp concision. Justice Silva’s use of legal first principles, without mechanical or encumbering reliance on excessive precedents, has been compared to H.V. Perera, K.C., which is high praise. By contrast, his behaviour as Attorney General set the standard for his deleterious tenure as Chief Justice in which he, more than any executive could manage, brought down the prestige and independence of the institution that had stood as the final pillar of constitutional democracy resisting the ruinous depredations of our republican political culture of patronage and clientelism, and the progressive lowering of standards in public life. Mr. Silva’s appointment itself was marred by the whiff of ethical transgressions and political skulduggery, and the precedent of the grotesque corruption of ethical standards this set has percolated not only to the lower judiciary and the broader administration of justice, but also to the legal profession as a whole. We should resort to neither the sententiousness nor the impertinence of passing moral judgement over the travails of a man’s personal life, but it was in part because of his own abuse of office in relation to his divorce that Mr. Silva both attracted notoriety and compromised his independence and professional integrity. The circumstances of this case and other piscatorial dealings in which the Chief had engaged in extremely grave abuses are elaborately documented in Victor Ivan’s The Unfinished Struggle, which no doubt is a masterpiece of mixing prurience with probity, but the more important point is that Ivan has never been sued for his trouble, nor has he been charged and punished for contempt of court – infamously, one of Chief Justice Silva’s favourite weapons, which he wielded with unseemly relish to send S.B. Dissanayake and Anthony Michael Fernando to jail for what would seem in a modern democracy to be relatively harmless indiscretions. It is on issues such as those exposed by Ivan that Mr. Silva won the suspect distinction of having not one but two impeachment motions brought against him. That he survived both, is more testament to the impoverished partisanship of our political culture than Mr. Silva’s political survival skills, but that was not for the want of trying: the Supreme Court he led made the unprecedented attempt at staying parliamentary proceedings on one impeachment. If, however, the Kumaratunga government reckoned that a compromised Chief Justice would be the clinching element of its grandiose, but ultimately abortive, plans for a constitutional revolution to extend her term of office, then Mr. Silva certainly had the last laugh. In this he demonstrated not only his unabashed willingness to play politics, but also his keen sense of which way the political winds were blowing. With the ascendancy of Mahinda Rajapaksa at the empennage of Kumaratunga’s presidency, Chief Justice Silva effortlessly shifted allegiances, leaving his erstwhile patron looking a pitiable shipwreck. Chief Justice Silva also decisively influenced the political course of events during that time in the cases relating to the P-TOMS agreement and the ‘de-merger’ of the Northern and Eastern Provinces, in determinations that are, at the very least, legally debatable, and certainly undid political agreements aimed at a negotiated settlement to the ethnic conflict. 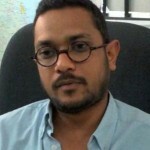 His interventionism is all the more remarkable because the Sri Lankan Supreme Court has a long tradition of aversion to ‘political questions’ and has refused to intervene in the past when in fact it ought to have done in the defence of minority rights as part of its constitutionally immanent function. Many years after Kumaratunga had left office, in his populist and legacy-securing phase, in an act of gratuitous vindictiveness, Chief Justice Silva’s Supreme Court would hold her responsible for abuse of power and order her to pay restitution. This incident (and several other cases of this genre) is typical of a Silva intervention: he used the opportunity to showcase the Supreme Court’s boldness in striking down corrupt privatisation deals, thereby becoming the public’s anti-political hero; he silenced his liberal critics with a blow against the much maligned presidential immunity (even if this meant very little against an incumbent); and he demonstrated a willingness to take on and cut down to size overweening public officials (but not, political power-wielders themselves). In the process, however, the nature of the fundamental rights jurisdiction of the Supreme Court was altered, the separation of powers was affected, doctrines of equity and law imported into the fundamental rights jurisprudence, and the confidence of investors in privatisations undermined, all without adequate reflection, public deliberation and the kind of rigorous reasoning that must accompany judicial activism. These decisions therefore seem more public posturing than any worthwhile judicial contribution to constitutional development, which is compounded by the fact that in cases where there was a real opportunity to take on the incumbent executive, Chief Justice Silva’s Supreme Court became strangely acquiescent. For example, in a judgment wholeheartedly applauded by this newspaper at the time, ordering the removal of permanent checkpoints in the City of Colombo, the Chief knew when not to push the boundaries when the decision was promptly ignored by the government. Likewise, it refused, in an eager embrace of national security, to even afford a full hearing in the fundamental rights application made by the detained journalist J.S. Tissainayagam, even though the case for such a hearing was self-evident. Most culpably, in the Singarasa case, the Chief Justice was single-handedly responsible for removing the international protection for human rights afforded to Sri Lankans by the First Optional Protocol to the International Covenant on Civil and Political Rights (ICCPR), and following through in an Advisory Opinion of 2008, declaring that domestic law was in full compliance with the ICCPR, once again without the kind of reasoning required of a Supreme Court in coming to conclusions of such gravity. Whether this was due to Mr. Silva’s sense of nationalism, or whether he was reflecting the political zeitgeist, or indeed whether he felt personally affronted by the fact that the UN Human Rights Committee could second guess decisions of his Court it is difficult to tell, but none of these attitudes nor the attendant obscurantism are compatible with the accepted conception of the judicial temperament. While Chief Justice Silva’s tenure saw an expansion in hitherto unanticipated directions of the fundamental rights jurisdiction, in particular the right to equality, his personalised, and at times, abrasive and arbitrary style of dispensing justice from the Bench also undermined the decorum of the Court as well as fundamental rights themselves. A good example was his obstreperous behaviour in the Aksharaya case in which the decision of the Public Performances Board to allow a Sinhala film with sexual content to be screened subject to an ‘adults only’ certificate was challenged. The Chief not only took it upon himself to make rebarbative and, quite frankly, appalling comments about the parties to the action, but also in substituting his own perspectives on morality, culture and taste, went against the grain of freedom of expression in a manner completely unworthy of his office. Off the Bench, another of his publicity seeking activities was his lay preaching of Buddhist doctrine on television. Even if secularism is not a characteristic of Sri Lankan democracy, it was unacceptable that the highest judicial official in the land should feel free to hold forth in the manner of a televangelist. Given his less than angelic behaviour in other contexts, all this sounded like so much cant and hypocrisy. But since no one doubts his awesome knowledge nor begrudges him his religiosity, the problem was that it was simply inappropriate to do so while holding judicial office. One can only imagine the outrage it would have caused had a Christian, Hindu or Muslim judge decided to do his own evangelising on television. Yes, yes, all too true but what was Colombo’s so called liberal intelligentsia supposedly wedded to the rule of law, doing during that entire decade of Silva’s ruinous judicial adventurism? Where were they (so vociferous as they had been during the ravages inflicted by JRJ on the judiciary)?Why did they strangely fall so quiet during CBK’s time when Silva was rioting in the Court? Welikala mentions the Tony Fernando case. Who stood up for Fernando at that time? Did the Human Rights Commission headed by (later our very own Spl Rapportuer) R. Coomaraswamy do anything? What about the Civil Rights Movement? History will judge them for their silence. Now they cry crocodile tears for the demise of Sri Lanka’s judiciary. Now my honourable gentlemen and gentlewomen, it is too late. Let us, like Pontius Pilate, wash our hands and look the other way. The legacy of Sarath Silva will taint the lives of thousands of Sri Lankans. The sacrifice of Truthe and Justice at the altar of Power and Greed. Certainly not according to the Dhamma. It is highly ludicrous to compare Sarath Silva to the likes of HV Perera. Apart from HV Perera, there were luminaries like S Nadesan, C Ranganathan, Gratiaen, Nimal Senanayake and many more. They were all people of integrity and intellect the likes of which we do not have any more.